Stopira (MOL Vidi) collects a pass from the flank, looks up and fires in a goal-bound shot from the edge of the box which canons off a defender to safety. Loic Nego (MOL Vidi) is obviously not following the Golden Rule: „Treat others as you want to be treated.“ He makes a bad challenge and leaves Aleksandar Stavrev with no other option than to blow for a foul. Rough tackle by Ross Barkley (Chelsea). The referee blows his whistle for a foul. Anel Hadzic will be replaced by Mate Patkai (MOL Vidi). Callum Hudson-Odoi (Chelsea) is deemed to be in an offside position by the linesman and it looks like it is the right decision despite being a very close call. A short pass finds Ruben Loftus-Cheek (Chelsea). He spots the keeper off his line and shoots from mid-range, but the ball sails high over the bar. The ball goes out of play and MOL Vidi will have a goal kick. Marko Nikolic has decided to introduce fresh legs, with Armin Hodzic (MOL Vidi) replacing Szabolcs Huszti. Here's the change. Georgi Milanov leaves the pitch and Istvan Kovacs (MOL Vidi) comes on as a substitute. Ruben Loftus-Cheek (Chelsea) shouldn't be surprised it's a yellow from the ref, who cooled the situation down well. Ruben Loftus-Cheek (Chelsea) makes a rough challenge and Aleksandar Stavrev blows his whistle for a foul. Callum Hudson-Odoi (Chelsea) takes the corner kick but the ball only finds the head of an opponent. Ruben Loftus-Cheek (Chelsea) delivers a fine lofted cross into the penalty area, but it's cleared by an opposing player. Chelsea have been awarded a corner kick. Yellow card. Loic Nego (MOL Vidi) goes into the book for a bad tackle on his opponent. Aleksandar Stavrev blows his whistle after Loic Nego (MOL Vidi) brings one of his opponents down with a strong tackle. Olivier Giroud (Chelsea) unleashes a spectacular free kick from just outside the box, hitting the top left corner. The noise inside the stadium is tremendous at the moment. Paulo Vinicius (MOL Vidi) receives a yellow card for a nasty tackle. Paulo Vinicius (MOL Vidi) was trying to get to the ball but clattered into the legs of the opponent as well. Aleksandar Stavrev blows his whistle for an infringement. A free kick to Chelsea. Marko Scepovic (MOL Vidi) is unable to feed a through ball into the path of his teammates. Szabolcs Huszti (MOL Vidi) is cautioned by the referee for a foul that he committed a little earlier. Szabolcs Huszti (MOL Vidi) robs an opponent of the ball and explodes in anger when Aleksandar Stavrev blows for a foul. What was Roland Juhasz (MOL Vidi) thinking? He will not get away with that. The referee shows him a yellow card. Poor challenge! Roland Juhasz (MOL Vidi) is penalised for tripping and Aleksandar Stavrev blows his whistle. Callum Hudson-Odoi (Chelsea) whips in the corner, but one of the defending players gets a head on it and intercepts. Callum Hudson-Odoi (Chelsea) puts a dangerous cross into the box, but the corner is cleared by the first man. Chelsea have a corner. Ruben Loftus-Cheek (Chelsea) swings in a cross, but the ball is cleared to safety by one of the defending players. Chelsea force a corner. Their opponents will face another attacking threat. Stopira (MOL Vidi) should know this behaviour is beyond the rules. He was too careless with his challenge and left Aleksandar Stavrev no option but to blow his whistle. Callum Hudson-Odoi (Chelsea) receives a precise low pass inside the box, controls it and sends it straight at Adam Kovacsik, who makes a comfortable save. Olivier Giroud (Chelsea) commits a foul during an attacking move. Georgi Milanov sends a precise lofted cross into the box. Loic Nego (MOL Vidi) latches on to it and finishes with a quick shot inside the right post. The goalkeeper had no chance. The score changes to 2:1. The referee stops play so that a substitution can be made and Willian trots off the pitch and is replaced by Pedro (Chelsea). Loic Nego (MOL Vidi) commits a rough challenge and Aleksandar Stavrev blows his whistle for an infringement. That's unlucky! Emerson (Chelsea) beautifully controls a pass and from the edge of the box drills a shot in on goal, but it's inadvertently blocked by a defender and cleared. Flag goes up against Olivier Giroud (Chelsea) and the referee blows his whistle for offside.me>>. The referee blows his whistle for offside. Willian (Chelsea) creates himself some space on the edge of the box and unleashes a strong shot which is blocked by a defender. Stopira (MOL Vidi) connects with the corner but his looping header goes well over. The ball goes out of play and Chelsea will have a goal kick. Szabolcs Huszti (MOL Vidi) will deliver the ball into the penalty box from a corner kick. Marko Scepovic (MOL Vidi) slaloms his way past challenges, but an opposing player does well to get the ball away. The ball is out of play. MOL Vidi win a corner kick. Willian (Chelsea) is penalised after knocking an opponent down. 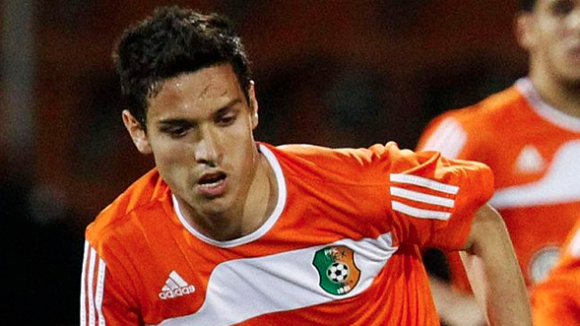 Aleksandar Stavrev has ended the first half by blowing the whistle. Alvaro Morata is not able to continue due to his injury and will be replaced by Olivier Giroud (Chelsea). My Gran could have done better! Davide Zappacosta (Chelsea) got himself in a great position on the edge of the box after a pass, but put his shot well wide of the left post. The ball is off of the pitch and it's a goal kick for MOL Vidi. Willian (Chelsea) takes a short free kick. Aleksandar Stavrev blows his whistle. Attila Fiola (MOL Vidi) commits a foul after dangerous play. A free kick has been awarded to Chelsea. Szabolcs Huszti (MOL Vidi) takes the corner kick and sends a lovely ball into the penalty area, but the opposition's defence is ready and knocks the ball to safety. A neat pass is well received by Loic Nego (MOL Vidi), who is lurking on the edge of the box and strikes the ball towards the right post, but the goalkeeper makes an incredible diving save to block his shot. The ball goes out of play and MOL Vidi have been awarded a corner kick. Alvaro Morata (Chelsea) connected with a pass around the edge of the box, aimed and shot. His attempt went towards the right-hand post, but Adam Kovacsik was alert and the score remains the same. Ethan Ampadu (Chelsea) was too forceful with his tackle and Aleksandar Stavrev interrupted the game to signal a free kick. The linesman raises his flag for offside before Davide Zappacosta (Chelsea) heads on. Willian (Chelsea) is offside and the linesman raises his flag. The resulting corner from Willian (Chelsea) comes to nothing. Willian (Chelsea) attempts to find the head of one of his teammates with a promising cross into the box, but a defender outjumps the attackers and averts the threat. The ball goes out for a corner. Chelsea can continue in their attacking effort. A player from Chelsea commits an attacking foul. The referee blows his whistle. Willian (Chelsea) will take a corner kick. Willian (Chelsea) swings in the corner, but it's comfortably cleared away. Good work from Chelsea as they win a corner. 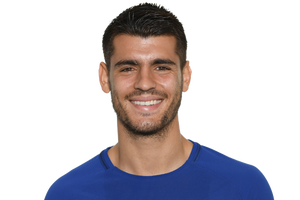 Alvaro Morata (Chelsea) receives a good pass and from just outside the box he unleashes a promising strike, but the shot is blocked by the defender. Chelsea get a corner. The linesman signals that Alvaro Morata (Chelsea) is offside and the referee confirms the decision. It's an own goal! An unlucky moment for Ethan Ampadu (Chelsea), who heads the corner kick behind his own keeper. The score is 1:1. Szabolcs Huszti (MOL Vidi) goes over to take a corner kick after one of the defenders makes a good clearance. Szabolcs Huszti (MOL Vidi) sends a pass into the box, but his attempt is thwarted and cleared. MOL Vidi will have a chance to score from a corner kick. Willian (Chelsea) scores a goal from the free kick that is placed on the edge of the box. The ball goes inside the right hand post. Paulo Vinicius (MOL Vidi) tackles a bit over-zealously and Aleksandar Stavrev blows for a foul. Chelsea have a free kick from a promising distance. Willian (Chelsea) delivers a long ball, but it lacks enough power to reach his teammates and is intercepted by one of the defenders. Aleksandar Stavrev blows his whistle after Ruben Loftus-Cheek (Chelsea) kicks an opponent's legs instead of the ball. Loic Nego (MOL Vidi) receives a low pass just outside the box and unleashes a fine strike towards the bottom right corner. Wilfredo Caballero pulls off a reflexive save to block his effort. Nice goalkeeping skill, indeed. The resulting corner from Willian (Chelsea) is cleared by the opposition's defence. A cross into the box from Willian (Chelsea) is cleared. The ball is out of play and the linesman points at the corner flag. Corner to Chelsea. Chelsea take a short corner kick. An attempted cross from Willian (Chelsea) is cleared. Chelsea have been awarded a corner kick. Attila Fiola (MOL Vidi) does well to dispossess the attacker with a slide tackle, but the referee blows his whistle for a foul. Cesc Fabregas (Chelsea) brings his opponent down. Aleksandar Stavrev has a clear sight of it and blows his whistle for a foul. Willian (Chelsea) takes the corner but it's cleared. Ruben Loftus-Cheek (Chelsea) serves up a nice cross, but the defence clears the danger. The ball is out of play. Chelsea will have a chance to score from a corner. Ross Barkley (Chelsea) outjumps the defence to meet the resulting corner and heads the ball towards the bottom right corner. The long-range header is not powerful enough, and the keeper comfortably makes a save. Willian (Chelsea) is about to take a corner kick. Willian (Chelsea) whips the ball into the penalty area, but one of the defenders is alert and spanks it away. Now Chelsea have a corner. Ross Barkley (Chelsea) finds himself in a promising position after receiving a precise pass. He pulls the trigger but only hits one of the opposition, who gets in the way of his effort. Boban Nikolov (MOL Vidi) makes a yard for himself on the edge of the box and produces a poor effort that sails miles wide of the left post. The ball goes out of play and Chelsea will have a goal kick. Ruben Loftus-Cheek (Chelsea) is forced to stop his attacking move after the linesman signals for offside. Willian (Chelsea) takes the corner, but the opposition's defence is ready and clears the ball to safety. Willian (Chelsea) sends a pass into the penalty area, but the opponent manages to cut it out. The ball is out of play and Chelsea manage to earn a corner. Aleksandar Stavrev will officiate today. Chelsea will kick the game off.